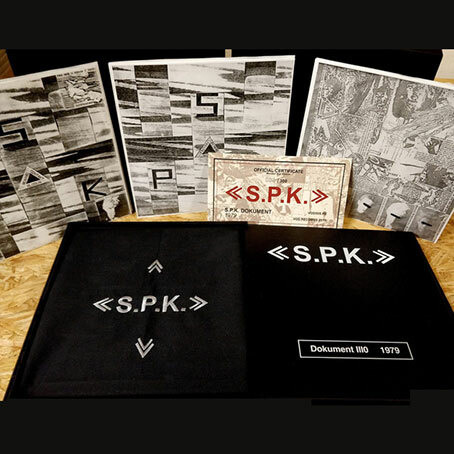 Black varnished and silkscreened wooden box edition with each 7" coming in the original 1979 cover artwork additionally housed in a black priest-handkerchief with white S.P.K. logo stitched on. Limited edtion of 300 copies. Comes with numbered certificate.